We hope anybody friends with Everyday Music was smart enough not to answer their phones last week if the music shop called looking for moving help. That’s a lot of CDs to pack. But somehow they got it done, moving this weekend across the street from their home next to Elliott Bay Book Co. to what was once a BMW service garage, lately a parking lot and now the fourth home for Everyday after it was displaced from its original Broadway location by light rail demolition and construction. Everyday posted pictures of the new 10th Ave store here on Facebook. The new location opened for business Friday night after a week of downtime for the 120-foot move. The move comes after some lease drama for Everyday in the space it had occupied next to Elliott Bay. Owner Scott Kuzma said he could not yet talk with CHS about the plans when we first learned of the move and reported on it in February. Previously, we reported on Everyday getting bumped from the space. Coming in will be women’s clothing and home retailer Totokaelo. But people familiar with the deal tell CHS it was Everyday’s decision to move from the Hunters Capital property as their original sweetheart deal for the space ran out. Everyday’s new landlord is Ron Amundson who also owns the adjacent Rancho Bravo property and several other parcels throughout Pike/Pine. 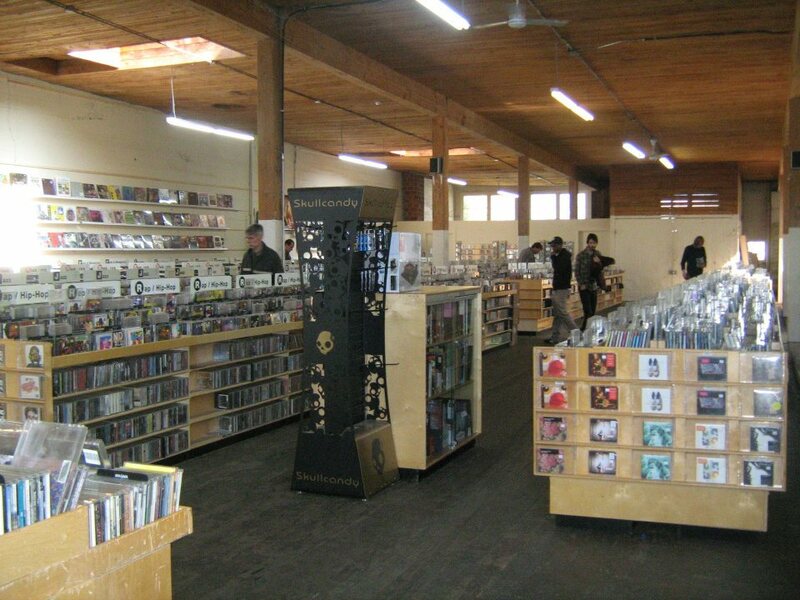 Headquartered in Portland, Everyday Music also operates two stores in Oregon and a store in Bellingham in addition to the 10th Ave location. It stocks new and used music and has survived thus far in an era when brick and mortar retail of media has been severely challenged by changes in the marketplace. So happy they found a space. Once their old digs rent, 10th will be an even better street than it is. Congratulations EDM! …The Pike-Pine block of 10th continues to rock! It feels like the village approach to retail – keeping everyone in the area, even as change happens. Even more important that the coming new development at 10th and Union keep the scale of these blocks in mind and create a project that is sensitive to the neighborhood context rather than destroying an important piece of it…. Glad they found a new home. Dropping down a few feet to street level with lots of window exposure should help them. As Seattle becomes more expensive and exclusive, we all must continue to support these indie businesses and to shun and dissuade rich landowners from ramping up their feudal ways. 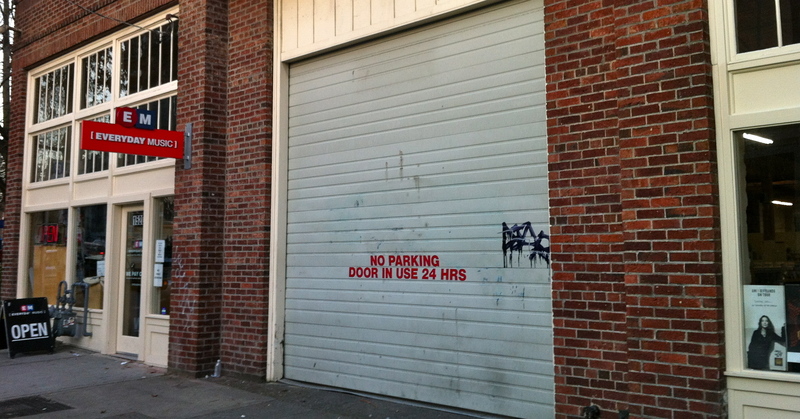 We ALL pay higher prices for everything when business space rents/leases go up. No thanks to McGinn and his schlep administration, EM keeps on going. I’ll be sure to stop by and support their new location with a purchase this week. Will you? Since the new landlord, Amundson, is the guy who keeps raising rent on other local merchants Square Room, Ballet and Travelers, I hope he’s trustworthy enough to maintain an affordable rent for Everyday Music.